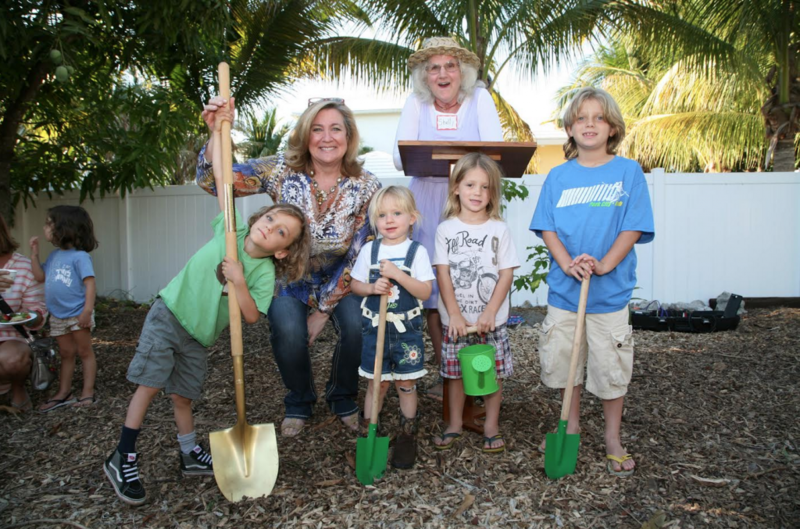 AWESOME PROJECT: This amazing children’s garden in Delray, Florida has a banana forest. Believe it. The project broke ground in January, and we’re here to tell you: this is not just your average children’s garden. This is the garden you wish you’d had as a kid. No surprise, given that local kids helped design it! Imagine: a winding labyrinth made of raised bed veggie planters. A medicinal section (ginger and aloe are already planted – medicinal plantain, echinacea, calendula, capsicum, comfrey and borage are on the way soon). A “sunflower house,” a huge mulch pile for digging, an aquaponics permaculture system in which fish and plants sustain each other. And that’s not the half of it. The real show-stopper is the banana forest. Yes, banana forest. It’s an idea Zacks picked up in Alexandria, Virginia, while scouting for concepts at a kids’ garden there. “It was the attraction of the garden,” says Zacks. “You could only see the color of the kids’ clothes moving through the banana plants. You couldn’t see their faces. It was a feeling of being completely surrounded and immersed in a forest experience. They can hide. They can see through the leaves and see out, but they feel like no one can see them.” Banana trees grow incredibly quickly, creating a lush, dense forest to get lost in. Will this garden make enough of a difference? Is it worth the huge amount of love and labor that Zacks and her peers have poured into it? “I don’t believe that I can change the world in a year or even ten or twenty years,” she explains. “But I can make little ripples. 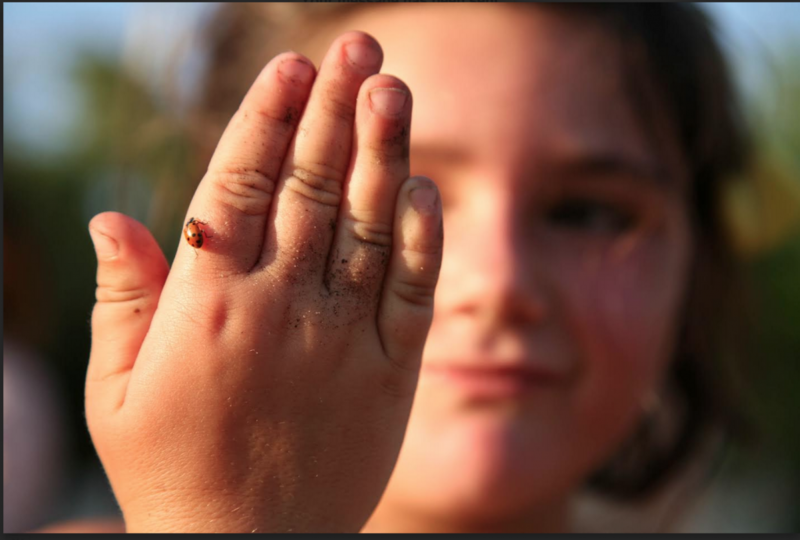 It’s really gratifying to make a change in South Florida, where change is very slow.” Didn’t someone smart once say that the journey of a thousand miles begins with a single step? 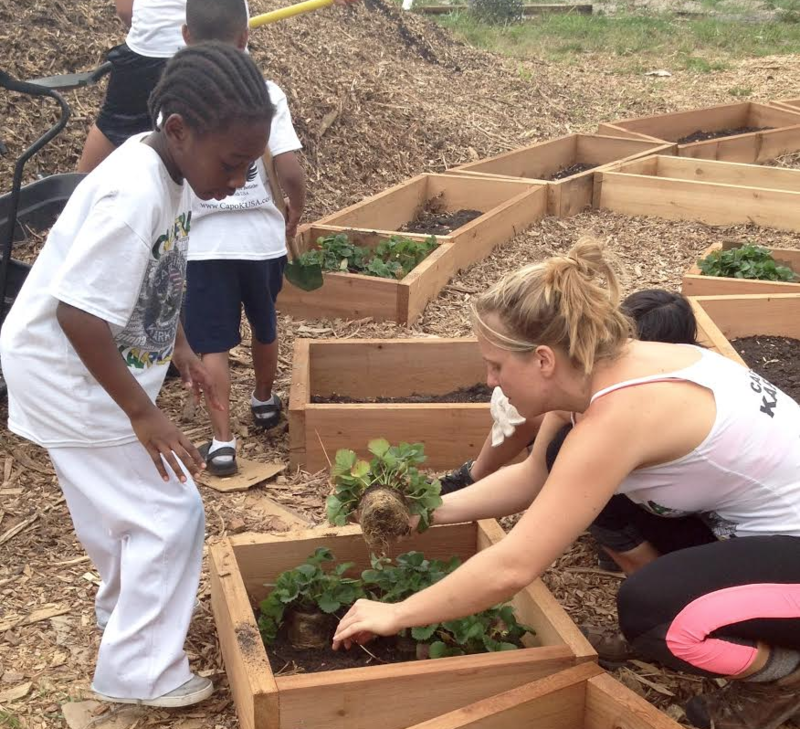 If you want to create a children’s garden in YOUR neighborhood, or if you have other awesome ideas about how to make your town greener, safer, and more fun, let us help! Tell us your awesome idea right here. We’re here to help you get started today. Pssst… IN OTHER ioby NEWS: Come Hike the Heights with us on June 6!